UNIVERSITY PARK, Pa. — For the first time, researchers have used a cocktail of small molecules to transform human brain cells, called astroglial cells, into functioning neurons for brain repair. Their results provide proof-of-principle that chemical reprogramming may one day lead to development of drugs that could regenerate neurons and restore brain functions to patients affected by traumatic injuries, stroke, or diseases such as Alzheimer’s. Previous research, such as conventional stem cell therapy, requires brain surgery and therefore is much more invasive and prone to immune-system rejection and other problems. The research, led by Gong Chen, professor of biology and the Verne M. Willaman Chair in Life Sciences at Penn State, will be published online in the journal Cell Stem Cell on Oct. 15th, 2015. “The small molecules are not only easy to synthesize and package into drug pills, but also much more convenient for use by patients than other methods now being developed,” Chen said. Before such a pill could become clinical reality, however, researchers would have to learn how to effectively deliver the small molecules across the blood-brain barrier, as well as how to selectively reprogram reactive glial cells — the type that create scar tissue — without affecting healthy glial cells. The brain has nerve cells called neurons and another kind called glial cells, which include astroglial cells — both are important components of the brain’s nervous system. Healthy astroglial cells surround neurons and provide them with support, protection, oxygen, and nutrients. But when brain tissues are damaged by strokes or trauma, the astroglial cells react by multiplying — sometimes so much that they clog up the nervous system by forming a scar. These astroglial scars can cause health problems by preventing nerve regeneration and by blocking nerve-to-nerve communications between different regions of the brain. The astroglial scars have been a difficult research challenge for many decades. 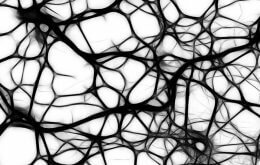 Chen’s group previously invented a method to convert astroglial cells into neurons using viral particles. But Chen also wanted to investigate whether small chemical compounds, which more likely could someday be packaged into swallowable pills, could convert astroglial cells into neurons. In addition to Chen and Zhang, other contributors to this research include Gang-Yi Wu, Jiu-Chao Yin, Hana Yeh, Ning-Xin Ma, Grace Lee, Xiangyun Amy Chen, and Yanming Wang from Penn State; and Peng Jin, Li Lin, and Li Chen from Emory University School of Medicine. The research was supported by the National Institutes of Health (MH083911 and AG045656) and the Penn State Stem Cell Fund.